This statistic displays the number of substance abuse treatment facilities in the United States by facility size, as of March 2017. 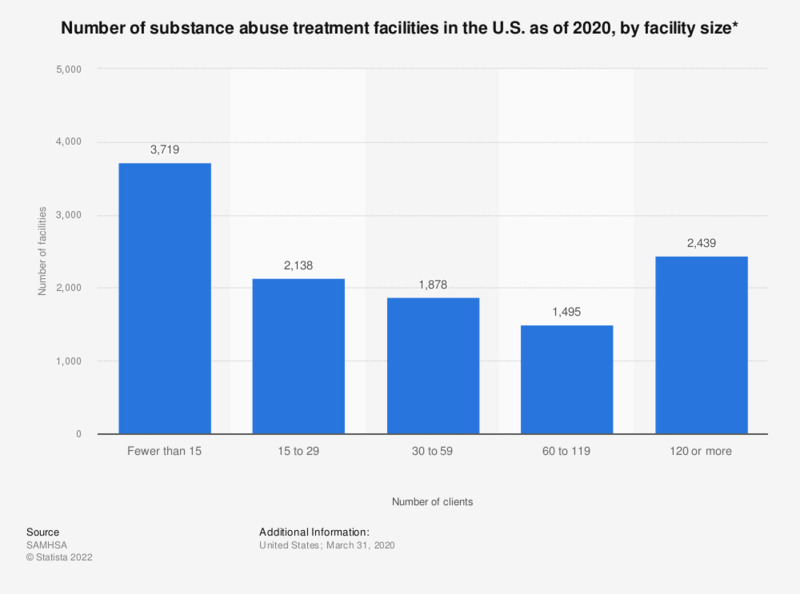 There were 2,962 substance abuse treatment facilities in the United States with 15 to 29 clients. * Includes outpatient treatment, residential (non-hospital) treatment, and inpatient treatment.